If you start this week feeling as if you're down for the count, take heart: It will not last very long. You can see what's in store for you with a 30-Day Astrology Forecast, and here's the lowdown on the key cosmic events the week of January 6-12, 2013. On Monday Mars and Saturn will rub elbows in the Fixed signs of Aquarius and Scorpio. Mars in Aquarius wants to move … fast. Saturn, on the other hand, when in difficult aspect to Mars can act as a vice grip, preventing any movement. Yes, I know -- ouch. This aspect is particularly frustrating when you want to press forward with a vital project but find yourself blocked at every corner. Look at the bright side: There might be good reason to take pause and see where you're at before you move ahead. Perhaps you need to regroup, cover your tracks or simply take a breather before you charge forward again. Don't see this as a signal for you to throw in the towel and accept defeat. Rather, use this energy to apply sustained effort over time -- even if the going gets a bit rough. You'll be glad you persevered! Besides, by Tuesday this Mars-Saturn business will be ancient history and it will be all about Venus. The planet of love, beauty, harmony and money will enter sober and disciplined Capricorn, where she'll remain until February 1. If you happen to have your Sun or Ascendant in Capricorn, congratulations, you've just won the cosmic beauty pageant for the next few weeks. In fact, all Earth and Water signs will enjoy a special benefit in the love and money department. Venus in Capricorn might initially seem like a Debbie Downer, but personally I'm all for this earthy Venusian placement. Think about it. Not only will love have an opportunity to stabilize and endure, but so will your bank account! 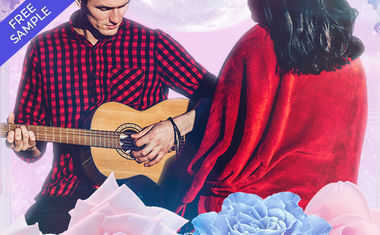 Sure, there may be more caution when it comes to romance for some, but when Venus in Capricorn is hesitant, it's because she's being smart and protective. This is usually not the Venus placement for flings, but there happens to be a complex arrangement building in the sky that may tempt Venus to throw caution to the wind by the weekend. More on that later. But first, let's talk about the main event of this week. 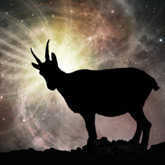 No doubt about it, the New Moon in Capricorn on January 11 has success and glory written all over it! I am beyond excited about this lunation for several reasons. First, each year when we have our annual New Moon in Capricorn it presents the opportunity to make strides in a personal goal that will help to elevate your status in some capacity. Most often, it is career related, but you may receive an opportunity to take on a position of authority in another context. Remember, New Moons provide a two-week window to plant seeds you want to see grow in your personal garden. These seeds should have something to do with success, glory, rewards and honors. These seeds should grow to earn you more respect. Consider carefully what you want to plant now and do so with diligence. The major reason why I feel extra animated about this particular new moon is because it's in good company. Half (that's right I said HALF) of the heavenly bodies in the sky will be in the sign Capricorn on this day. This is incredible energy to help propel you into an area of success. Please, don't waste it! The Sun, Moon, Mercury, Venus and Pluto will all work together to consolidate that solid framework of success potential for you. Wow! With this much Capricorn energy in the sky, we might expect to feel more focused on business rather than pleasure. This can be especially true while Venus is touring Capricorn. Well, this weekend, there will be a shakeup. On Saturday Uranus might zap the sobriety right out of Venus in Capricorn. Venus square Uranus typically expresses itself as a sudden change in money or love. You may be more reckless with your heart and/or your wallet, so please take heed. I will admit this is one of the most stimulating contacts in all of Astrology. In fact, when Venus and Uranus get together the hairs stand up on the back of our neck and we tend to feel all "Ooh la la" about someone who suddenly captures our attention. Just remember folks: This is a square. That means conflict. I'm pretty sure you won't care about my warning when that gorgeous man or woman suddenly takes your breath away or someone approaches you with an off-the-wall get rich quick scheme. Still, if you're ready to roll the dice and do something really crazy, like bet the farm or have a Vegas wedding with someone you just met hours earlier, check in with a few of those Capricorn planets first, OK? I'm sure they'll keep you in line.